We may have moved on from the days of pen & paper, which were considered as the most important means of communication before the tech revolution. However, written communication still holds its ground. Methods and media have changed to emails and messages but written word stills remains the very crux of communication. Talking about the student’s community, not each one would want to become a great writer. But honing one’s essay skills is a good idea. 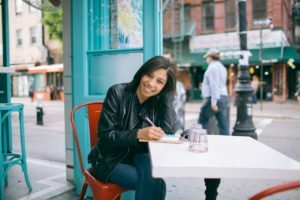 Essay-writing skills are not limited to passing an exam or submitting assignments on time, otherwise you could have just chosen to seek professional assistance at buyessayforcollege.com. However, at some point in life we all need to interact and communicate at the professional level. This is when the essay skills come in handy. 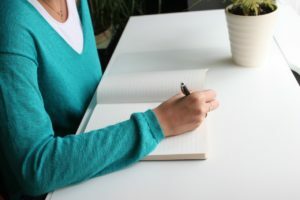 In this article, I shall help you with some of the top tools that students can use in order to improve and enhance their essay-writing skills. After all, a skill is something that can be your friend for life! Spellings and Grammar form the heart of any essay.Sentence Builder is an app that is focused on teaching students to form grammatically correct simple, compound, and complex sentences in a student-friendly way. What exactly do I mean by “student-friendly”?This app has a game-like interface which students find irresistible. It offers audio reinforcement, and a progress monitoring to keep you motivated. This website not only offers useful tips to correctly structuring your essay, but also has various other links to similar guides. Based on your requirement input, this site will help you with resources to understand your topic better. The best part is that you can also find grammar and style resources that will enhance your writing skills considerably. So check out the website now! Coming from the same developer as the Sentence Builder app above, this is a great app designed to improve students’ paragraph formation, inference, abstract thinking and integration of ideas. It also has voice-to-text feature, which allows students to narrate their thoughts and help them to convert into paragraphs. This website is best known for their 8-week online writing course. But it also has great resources on writing skills, sentence structure, paragraphs, essay writing and writing mechanics. It can help students to learn the basics of writing and polish up their essay writing skills. This website is a like a complete magical grammar book that you longed for. It offers lessons on all aspects of English Grammar and writing. All the resources of the Guide to Grammar and Writing are easily accessible. It also has links for Principles of composition. By now, you may have managed to write the essay somehow. It’s time to gather all the references and Bibliographies. If you have used multiple sources, it can be a task to compile all of them. This tool keeps a track of all your sources. All you need to do is download an automatically generated list. And you’re done! As simple as that. Once you are done with the essay, you need someone to check it one last time. So here comes the savior! Hemingway is your perfect proofreader and style adviser. Once you paste your text in, it points out all the grammatical mistakes, sentences that are too long, too heavy on adverbs, and so on. This can be like a final check of your essay, before you actually go on to submit it. These are some of the best tools that can guide you to enhance your overall writing skills and help in coming up with great essay ideas. The above list is not exhaustive and the internet is full of innumerable tools that you can use. Remember, essay writing needs lot of practice. It is not a skill that one can master overnight.Yet once learnt, skills never go waste. You will need them one day or the other in life. So good luck and happy writing! Pingback: How To Use Time Productively If You Are In College?